The Hidden Hour is a new escape room adventure that’ll test your skills, wit, and presence of mind. They’ve got different kind of missions like the Haunted Hostel, Alien Attack, and a Secret Mission (because who doesn’t like being locked in a room for an hour, right?). If you’ve been obsessed with Sherlock, True Detective, or CSI, it’s your time to put on that detective's cap and go around looking for clues. 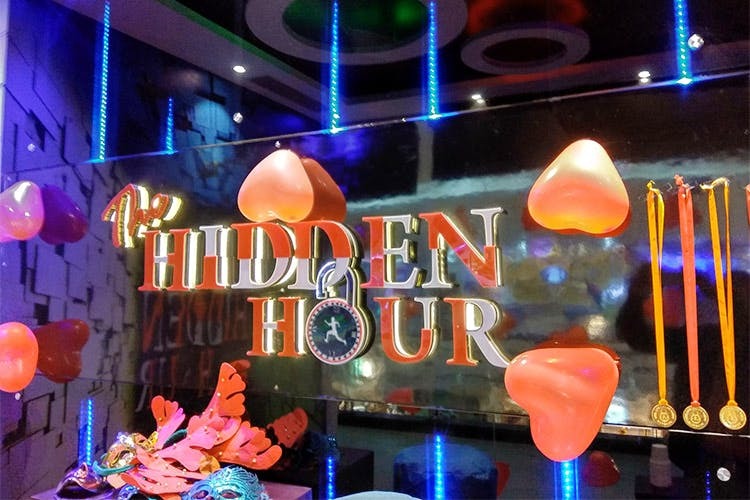 The Hidden Hour, with its thrilling escape rooms in Gurgaon and Hauz Khas, is inviting you to test your observational skills and prove your mettle when it comes to solving their escape room missions. Perfect for team-building activities, testing your dexterity with hidden clues, or even for randomly hitting and punching your friends (just because you’re in a dimly lit space), The Hidden Hour is one big adrenaline rush. You’re locked in a room for 60 minutes, with clues hidden around the space, and you need to crack them to get out before the sirens blare and the time’s up. They’ve got different missions like the Haunted Hostel (spooky), the Space Wars (ET flashback), and Lost on an Island (super adventurous vibes). It’s suitable for teams of 2-10 players and works as a great team building exercise, too. We really couldn't complain about anything here. Friends who have been here only said good things.